Naperville may not be the uber metropolis of Chicago — but today’s Naperville is not the sleepy Midwestern suburb it once was. 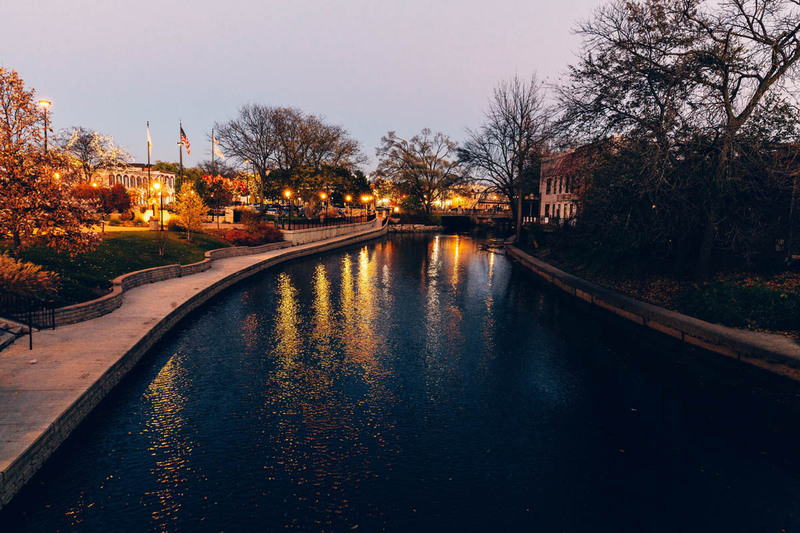 With a vibrant downtown core and a small-town feel, Naperville offers hip restaurants, stylish boutiques and upscale retailers. The downtown experience crosses the meandering DuPage River into the chic new Water Street district, boasting even more upscale eateries and boutiques and a new hotel with panoramic views overlooking the river that rivals those found in any city. And, a few miles away, Naperville’s soon-to-be built $50 million sports and events center will become a hub for entertainment and conventions. These developments have been spurred by population and job growth as the Northern Illinois Planning Commission projects 83,000 new jobs arriving by 2030 — second only to Chicago among Illinois employment centers. With an influx of companies like Nokia, Nicor Gas, BP and Mayor Steve Chirico working to bring a tech incubator to the city, Naperville is cementing its place as a destination city. Not surprisingly, Naperville was ranked No. 1 on website Niche’s annual “Best Place to Raise a Family” for 2018 and No. 2 on “Best Cities to Live in America” for 2017, and it has been a regular on Money’s “Best Places to Live.” Naperville also beat out Chicago when it ranked as the wealthiest city in the Midwest and the 19th-wealthiest city in the nation, based on income, housing prices and credit availability, according to financial website NerdWallet. Could Naperville, with its cosmopolitan-meets-suburban feel, be bucking the back-to-the-city renaissance reportedly underway in America? And what does that say for the future of luxury? To find out, we recently caught up with Walt Burrell and partner Bridget Salela at Coldwell Banker The Ville Realty. They have lived in Naperville for a collective 30 years and know this Midwest suburb inside and out. Coldwell Banker Global Luxury Do you think Naperville bucks the trend of people moving back to the cities? Walt Burrell In many ways, yes. 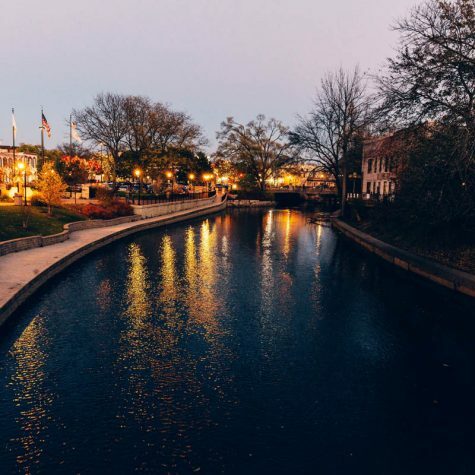 What makes Naperville unique are the neighborhoods and the schools, plus it has everything you could ever want or need from a city. At the same time, Chicago is very accessible, thanks to expressways and trains. A 30-minute express train ride, and you’re in the city. We have many professionals who commute into the city, and there is a lot of commerce in Naperville. I’m part of the Coldwell Banker relocation team, and people are coming here from all over, ready to settle down in a community. Bridget Salela People who started in Chicago come to Naperville to raise their children, yet they don’t have to sacrifice many of the amenities Chicago has to offer. Even empty nesters are moving here. They buy or build a home that their grandchildren enjoy visiting. There is so much in the area to do; there’s swimming at Centennial Beach, paddle boating at the quarry, even fishing along the river. And yet, if you want a night out, high-end restaurants and clubs are walking distance. Coldwell Banker Global Luxury What would you say is the main catalyst for people moving to Naperville right now? Walt Burrell It’s been neat to watch this town grow. Naperville now has over 145,000 residents, and it’s received many awards and accolades over the years. The schools alone are worth the investment. Naperville District 203 offers a highly ranked educational experience from the elementary level through high school. As a parent of high schoolers who have been in the district since kindergarten, I have seen the vast opportunities and quality teaching that Naperville schools provide. 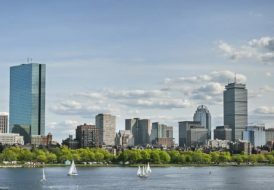 Add to that the energy of the place: the chic downtown, the various biking and walking trails, the citywide events, even the history. It’s an exciting place to live. Bridget Salela It’s a great place to raise a family. It has a small-town feel but a large population with so much to do and offer. In the downtown alone, there are over 100 high-end stores and 40-plus restaurants. The nightlife is fantastic, too. The downtown has expanded, including the new Hotel Indigo; yet, despite all this, you can still walk down the Riverwalk and see someone you know. Safety is also a draw. The police and fire department are an active presence and are both internationally accredited. 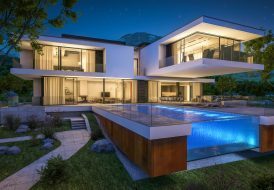 Coldwell Banker Global Luxury How would you characterize the Naperville luxury housing market right now? Walt Burrell It is trending upward with people moving from Chicago to the suburbs, and new construction is well underway in the downtown area. People are working with builders and architects to custom design their luxury homes. And there are newer high-end homes for sale in the downtown area and the subdivisions. I am impressed by the detail and amenities that these homes have to offer. Bridget Salela We also have a lot of older historic homes, which people are buying up like crazy, especially in the downtown area. The historic district, which is located close to the train station and very walkable, is a desirable part of Naperville. These homes are vintage and have architectural guidelines. Naperville has a lot of history that we are very proud of. When this history is preserved, it becomes a timeless treasure, much like our listing on Benton Ave. that was built in 1861 and has been recently remodeled. Coldwell Banker Global Luxury Where are the luxury hotspots, currently? Walt Burrell There are several luxury hotspots in Naperville, with a concentration in the downtown area. Homes within a mile from downtown sell quickly. There is also a pocket in downtown that is very sought-after, Burlington Woods. There you can find a new home starting at under $1 million. 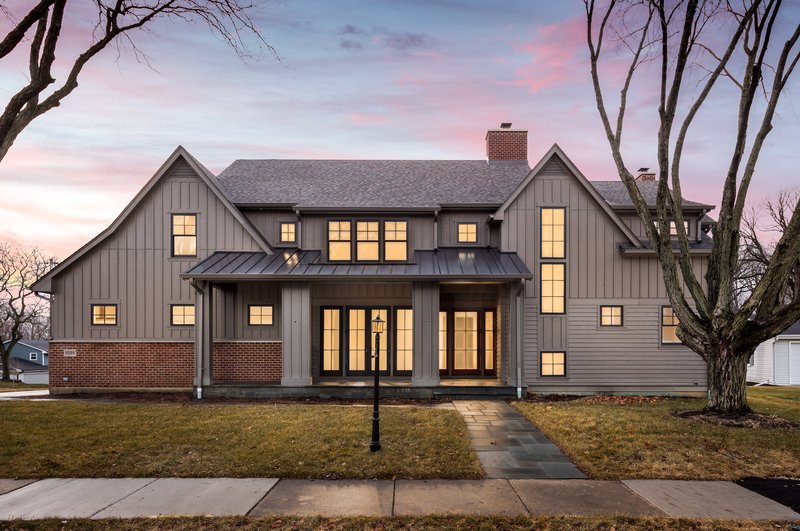 The Ville currently has a 3,900-square-foot, $1,149,000 home on Douglas Ave. that backs to Burlington Park, offering privacy, and a 4,000-square-foot new construction home adjacent to Burlington Park for $1,450,000. Bridget Salela West and East Highlands are booming. New construction is happening everywhere, and the lots can be hard to grab. This is due in part to the schools in Naperville, which consistently rank among the top schools in the state. The Cress Creek subdivision has wonderful luxury homes typically built on prime lots on the golf course. For example, The Ville currently has a four-year-old home listed on the 4th hole, on Heatherton Drive, for $1,650,000. It’s a golfer’s dream! This north side neighborhood is close to the expressway and easily accessible. One of my favorite streets in downtown is West Street. This street is a short walk to the Riverwalk, beach and town. The Ville has two luxury homes on this centrally located street. One, priced at $1,499,000, is built on an oversized lot, offering a 5,200-square-foot home and a big backyard. The other home, on West St., has four finished levels totaling over 5,600 square feet, priced at $1,650,000. Walt Burrell Brenwood Drive has most recently been listed as the most expensive street to live on in Naperville. 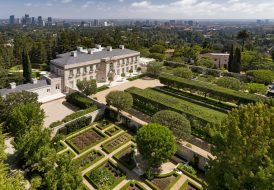 With an average home price of $1,800,000, it’s located just south of Hobson Road, which is the second most-expensive street, with an average price of $1,550,000. The third street is in downtown, Jackson Avenue, with an average of almost $1,430,000. Bridget Salela Currently, on Jackson Avenue, The Ville has a luxury home for sale for $2.1 million. With over 11,000 square feet of living space, it is just steps from the Riverwalk. Just off Jackson Ave. is Centennial Court, where The Ville has another luxury home for sale for $1,650,000. This 4,80-square-foot home backs to the wooded park district land and is also just steps from the Riverwalk. Coldwell Banker Global Luxury What does The Ville love most about Naperville? Walt Burrell It’s a diverse community based around family and children. Many of the events and festivities are designed to help fund children’s activities in and around the area. Your choices of activities are endless: Go to the Children’s Museum, the award-winning libraries or try your hand at skydiving in the indoor facility at IFly. Enjoy a game of golf at one of our many courses or kick back at Centennial beach with a picnic. I am so proud to call Naperville my home, and I enjoy introducing new people to this great community and all that it offers. Bridget Salela It’s all about making memories. Naperville — whatever area you live in — has so much to offer. I love early morning jogs on the Riverwalk, taking the Tuk Tuk downtown for date nights, Friday night football games in the fall, summer days with friends at the beach, concerts at Ribfest and The Last Fling, the Parade of Lights that kicks off the Christmas season — there are so many things to do during every season without having to leave this fabulous town. We even have the Naper settlement, which is an outdoor family museum bringing you back to the 19th century. Here, you can spend the day learning about the rich history of our town. Everything comes back to the Riverwalk. Known as the crown jewel of our town, it features a 1.75-mile brick path winding you past parks, fountains and bridges, showing off the beauty around every turn. It truly is a big city with a small-town feel. And that is why we love The Ville!